I decided to start with shapes they already control, taking the comal as a starting point. 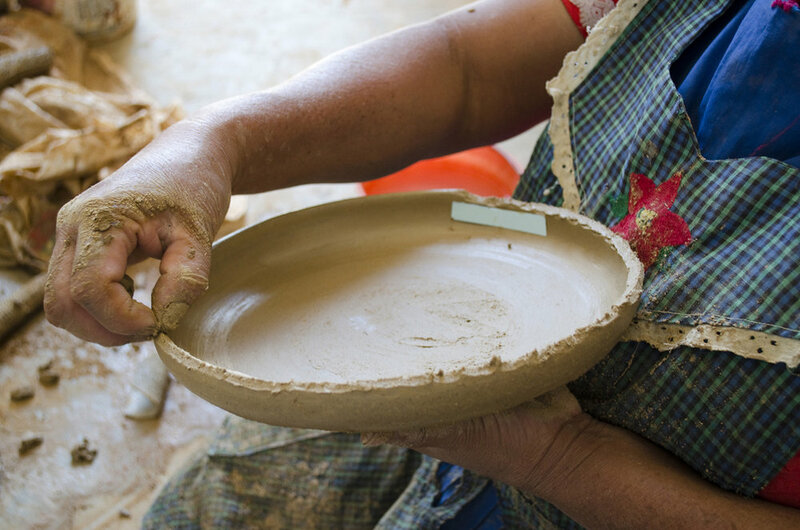 This object is produced and used to cook tortillas and other traditional mexican food. 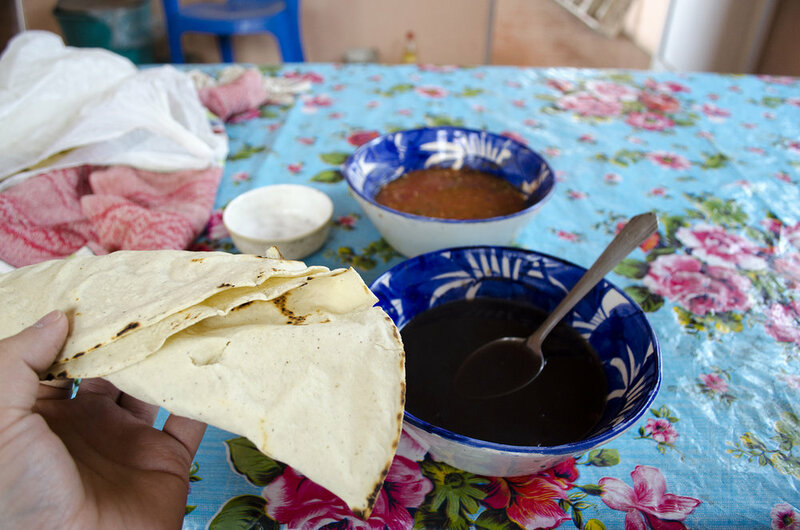 The way to San Marcos Tlapazola is really lonely and full of magueyes (the plant where the mezcal and tequila are extracted from), when I arrived there everyone in the small village stared at me asking themselves who I was. Awesome day! I finally met Francisca and Angela at their workplace in San Marcos Tlapazola. 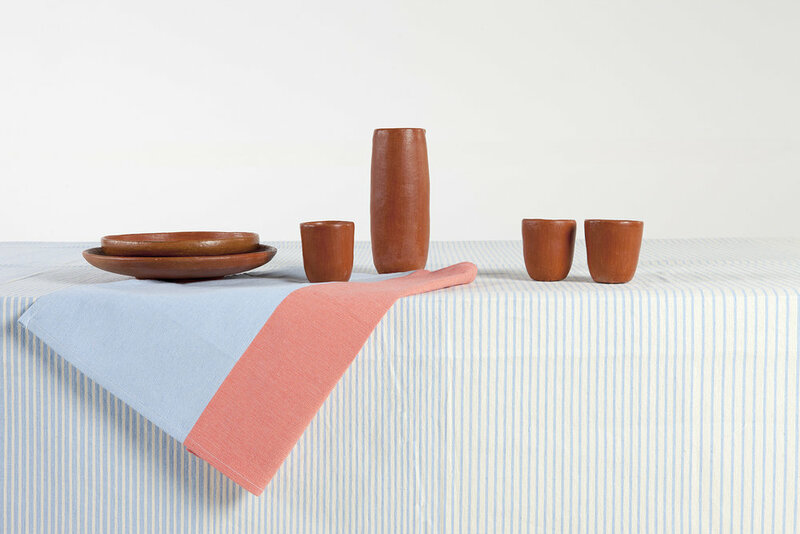 There, they produce amazing handcrafted red clay objects. I talked with Francisca for hours and observed the items they produce. Their native tongue is Zapotec and their Spanish sounds quite different. It was interesting for me that we all speak the same language and we couldn’t have a fluent conversation. The communication was hard at the beginning but then everything was going smooth. Angela and Francisca needed to go, but we agreed to continue our conversation the next day. I was super excited! The family offered me to have a meal with them and of course I couldn’t refuse. It was a very humble meal, but really tasty. Typical traditional Mexican pre-hispanic food. I was really touched. I have been working hard with Francisca and Angela at 37º C in the sun to get new pieces for Diario. After some failures in terms of design approach, I decided to start with shapes they already control, taking the comal as a starting point. 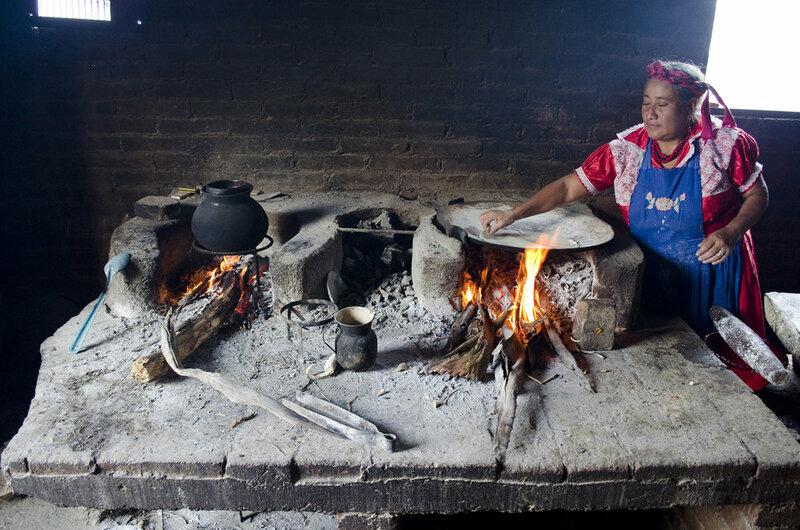 This object is produced and used to cook tortillas and other traditional mexican food. It is one of the most emblematic object in their catalog. 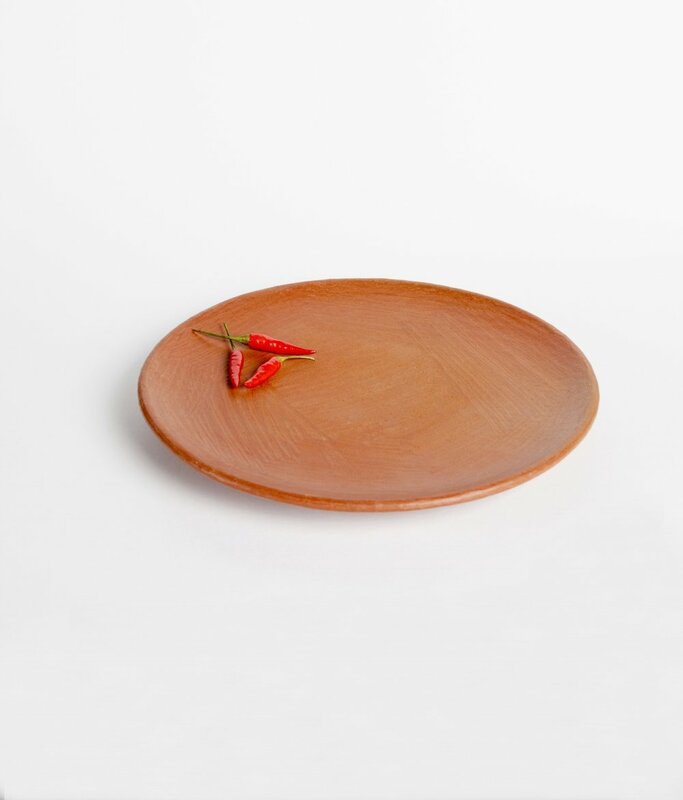 I did some modifications with clay to adapted them and obtained new tabletop products such as bowls and a serving plate. Parallel to this, we have also been working in a water set. This red clay is quite porous, so when people put water in it, it filtrates in small amounts. The water that remains in the clay, works as a cooler for its content.